Cold Spots #2 - The latest issue in this horror offering from Cullen Bunn and Mark Torres gave me chills. Sorry about that, but what started as a creepy story with people frozen and ghosts quickly developed into an interesting story about a man, Dan Kerr, and his attempt to find his daughter who he has never met. It has been years since her birth, but her mother and her ended up living with a mysterious family who lives on a solitary island. The Quarrels, who live on the island, have death looming all around them and have to deal with people making offerings to long lost loved ones outside of their house. The icy weather that impacts the surrounding area seems to originate from the Quarrels or perhaps from Kerr's daughter. 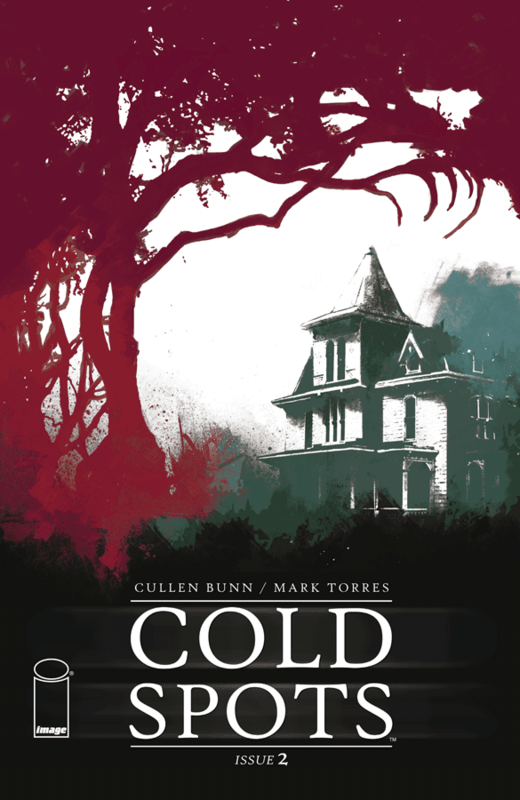 Bunn does a masterful job developing his characters quickly in this second issue and the ambiance set by Torres makes you feel chilly as you read this book and see the looming ghosts all around. Very excited about where this is headed and always thrilled to have a new spooky story to read around Halloween. 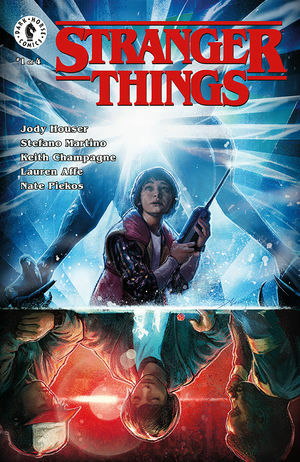 Stranger Things #1 - I was a bit worried that this would simply be a retelling of season one of the Emmy Award winning series on Netflix, but was pleasantly surprised to see this issue gave us the change to experience the upside down through Will's perspective. It works well for the first issue as Will takes a bit of time to understand what is really happening around him. While I wasn't blown away by this issue, I am a fan of Stranger Things and am looking forward to see where this series takes the reader. At a minimum it is good filler until season three. Star Wars Adventures #14 - This book continues to remain one of my favorite all-ages books. 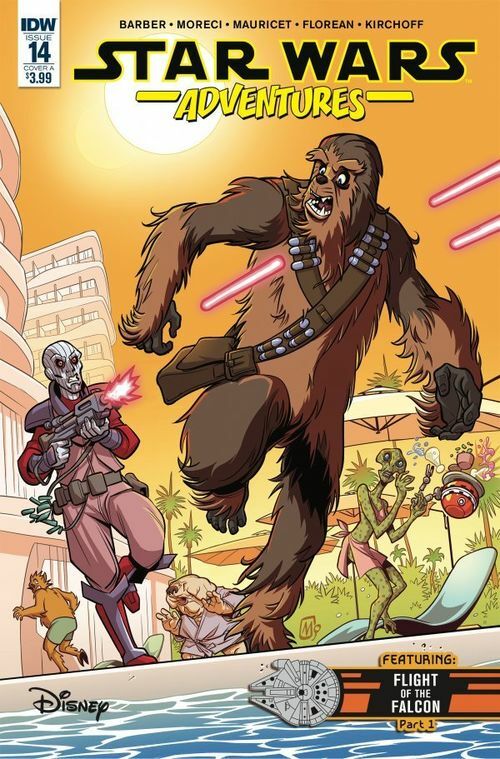 Chewbacca gets a rare day off in part one of this book and enjoys some time at a resort. I will add that there is something odd about seeing Chewbacca without his bandolier that makes him look naked and it was a bit uncomfortable watching him throughout this story without it. Due to Han's sketchy past, the resort ended up being a setup that saw Chewie caught up between competing factions trying to kill him. An entertaining one-shot that sets up the first part of "Flight of the Falcon", a short story centered around a mysterious woman who has reached out to IG-88 in order to track the Falcon. Interesting set-up that has me intrigued for the next issue. Doctor Aphra #24 - Doctor Aphra just took a sharp turn in the right direction. The past few issues had me close to taking it off of my pull list, but this issue redeems itself and charts a course in the right direction. When we left Aphra, she was stuck on a prison that was minutes away from a deadly collision. Her love, Tolva, messes up her plans when she decides to leave the escape pod and stay with Aphra. Through a series of entertaining attempts at escape, which take place over the time period of five minutes, Tolva makes a last ditch attempt that shakes Aphra to her core. She realizes that she hurts all of those who surround her and is faced with a difficult decision. 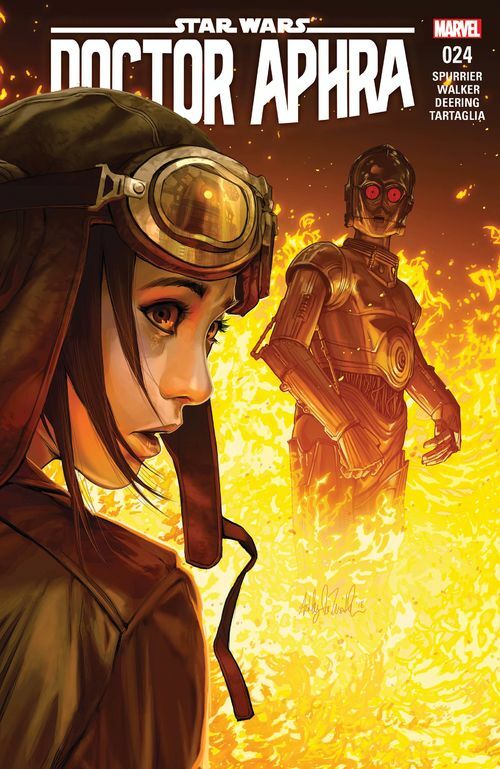 Even when this series wasn't as entertaining as I would prefer, the relationship between Aphra and Tolva has proven to be central to character development and shines a light on some of the foolhardy decisions that Aphra makes. I also want to add that Triple-0 needs his own series or his own Netflix series. His brief appearance in this issue is terrifying and unforgettable.